Many of us remember the first years after graduating high school, having the drive to create something and the feeling of being part of something bigger when exploring that ambition. There was something simple about those days of comraderie between friends heading in the same direction to achieve a goal. Because this is a feeling that so many experience, it's also a popular choice for stories in anime, and the media in general. It is such a common theme for many that it might feel over used, however, when it's done well, it's the right kind of 'feel-good' story that you can't help but enjoy. 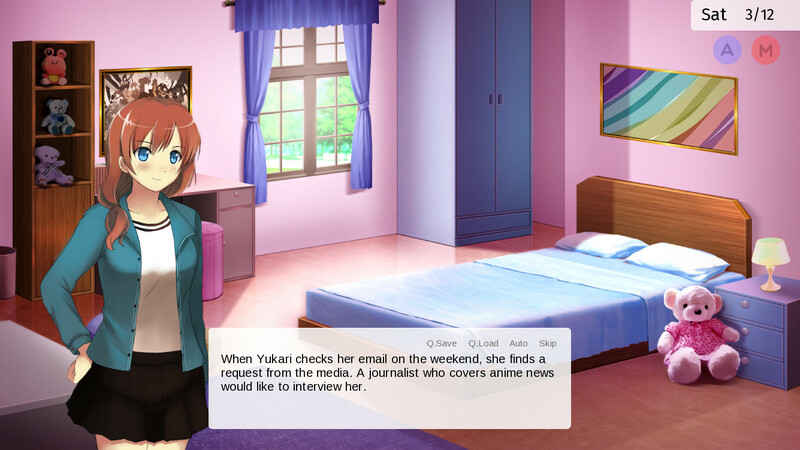 First and foremost, Anime Studio Simulator is a visual novel. The story follows the protagonist, Yukari, who is a high school graduate with dreams of creating her own anime. After confiding with her friend, Mayumi, and securing an investment from a family member she starts an anime studio. 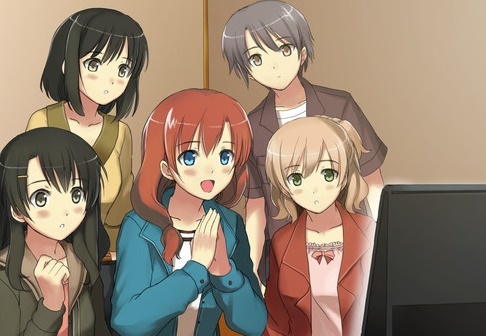 As the game goes on, the two are joined by artists, Yuuko and Sumiko, as well as Shunsuke, as a script writer. Once the team has been assembled as the player you decide on the type of anime from the options of 'Harem', 'Mystery' and 'Action'. From there the game continues around the story of the creation of the anime, as well as some light management features, as you schedule out tasks. The narrative isn’t an inspirational masterpiece, in the sense that it isn’t going to win a Nobel prize for literature. It's acceptable, and ticks all the boxes that you would it expect it to, given its theme and art style. You have the fresh out of high school young ambitious character who will achieve their dreams after collecting friends and acquaintances but not before they are challenged by the tribulations of anime development. If Love Life! was a visual novel, and Honoka wanted to make an anime, rather than be a pop star, it would look like this. Some narrative issues can also occur due to when the game wants to hit a certain goal. For example you can out source voice acting or even animation before the game presents you with the story line which the in game characters realise these are quite important to an anime. Being forced to make decisions before you're given enough information to make the right decision is quite poor gameplay design. 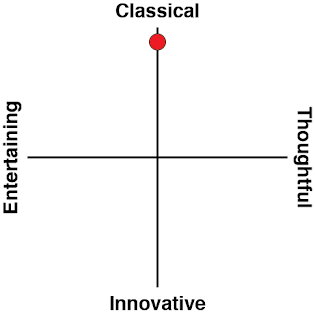 However that does not mean the story isn’t enjoyable. 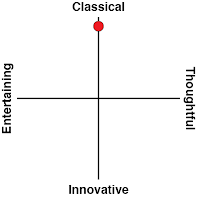 The game's protagonists are captivating because of their upbeat and unflappable attitiude towards what they're doing. Dialogue was constantly bringing a smile to my face, especially when the narrative was referencing back to anime or otaku culture. If nothing else, the developer has a clear love for the source material, and a good sense of humour about it. In amongst the visual novel narrative is a simulation element. With each in game week players are tasked with designating the tasks for the week ahead. 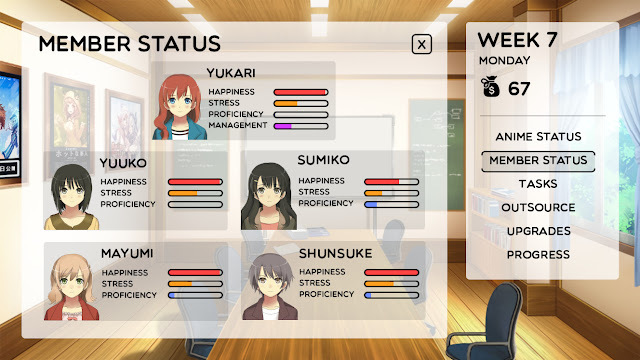 During this management section, you can see the status of the anime as well as status changes to the team. With the goal of progressing the anime the most important aspect is checking up on team member stress. Various jobs will change the status of the team which you can task to either working directly on the anime or practising their skills. If any of that gets too much however you can task any of the team members to just relax. You can also task characters with upgrade missions in which they will perfect their skills by going to events, other studios or courses. The game even has the option to just outsource the production of pretty much everything, though can be a costly endeavour. Because it's a visual novel, though, the management side of the game becomes far too predictable on multiple replays, as it becomes easy to remember the results that each of the relatively small number of decisions have. It is almost like reading your favourite book over an over again; at a point you know what's coming up on the next page before you turn over to it. The feedback from the management is also suspect, as it sometimes feels a bit hard to understand if as a player you have done enough. After some practice, however, understanding of the games mechanics reaches the point where you can make effective strategic decisions, and greatly affect the outcome of the anime in development. The more crafted responses come from events within the game which involve player input to advance. Events such as deciding on if a cold caller marketer is trustworthy or which music to put in the anime feel like you are making more of a difference on the anime then through the general weekly task scheduler. Ultimately Anime Studio Simulator comes to the table a bit rough around the edges but presents a charming story of a group of friends making an anime. Scenes such as going to an anime shop for “research” and the long list of team visits to the café craft an embodiment of playfulness and silly fun, which is, ultimately, embracing what som many of us love about anime in the first place.